Making York a vibrant and attractive place to live, visit, study, work and do business. 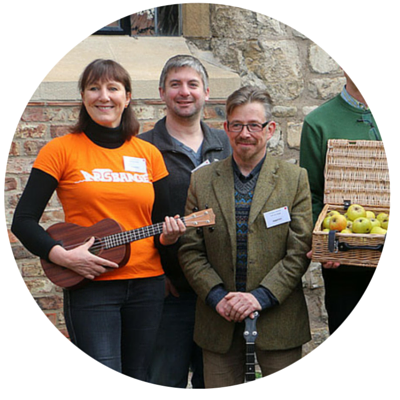 In March 2016 Make It York launched York’s crowdfunding platform at the city’s historic Bedern Hall. This new initiative was launched on Spacehive; a national crowdfunding platform with a mission to make it as easy as possible for as many people as possible to bring their civic environment to life. The crowdfunding concept works by providing tools that help people to develop their project ideas, get noticed and attract funding to make great local projects happen. 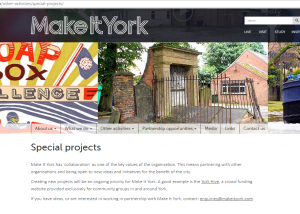 The York Hive will enable local people to see York projects online and pledge as little as £2 to make a project happen. 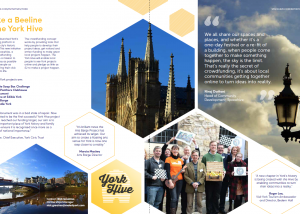 The first two projects have successfully met their fundraising targets, with the Rigg Monument becoming the very first York Hive project to reach its target, paving the way for further community collaboration and positive developments in the city. Starting with £3,093 in the pot, the Rigg Monument successfully raised a further £10,794 from 80 pledges upon the launch of the York Hive. The Arts Barge followed, reaching its fundraising target of £23,440 ten days in advance of the deadline. £15,990 of this figure has been raised since the launch of the York Hive. 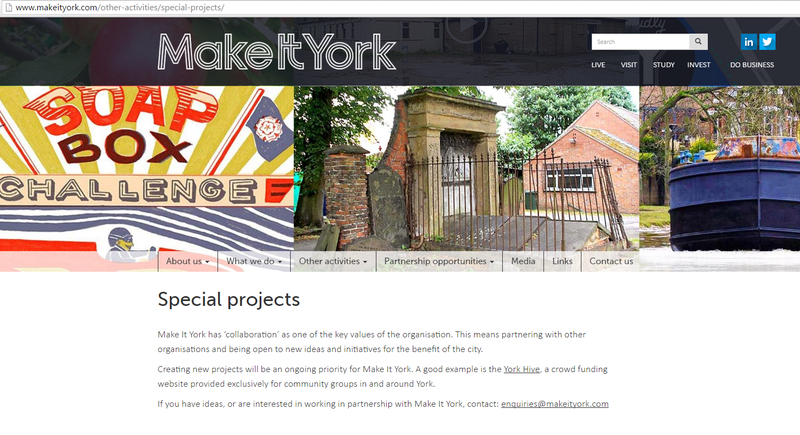 Creating new projects will be an ongoing priority for Make It York. 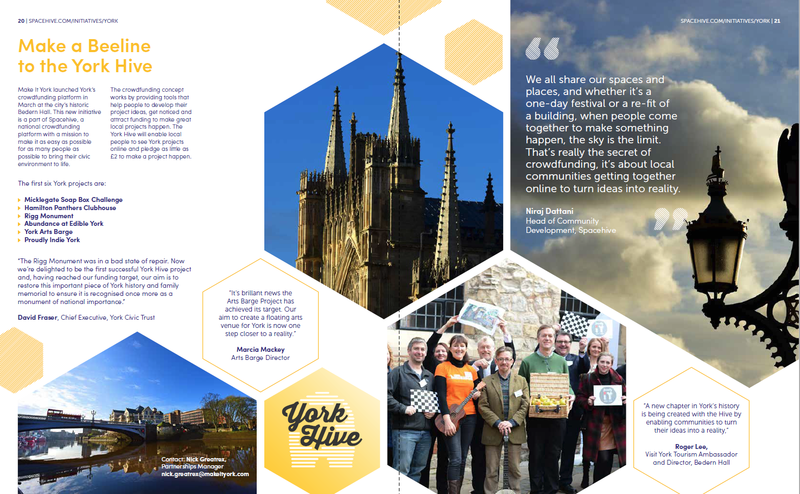 A good example is the York Hive, a crowdfunding website provided exclusively for community groups in and around York. 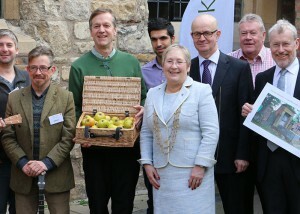 Since the launch of the York Hive initiative a total of £34,909 has been raised for five of the projects from 445 pledges.